An adjustable rate mortgage (ARM) is a type of mortgage that issues an interest rate that changes periodically that is reflected off an index, which can make payments go up or down. ARMS have a different layout compared to other mortgages. For example, the initial rate and payment amount for an ARM will remain active for a limited period of time, typically ranging from 1 to 5 years. The initial rate and payments during the first few years can be significantly different compared to rates and payments later in the loan’s term. Before committing to an adjustable rate mortgage, ask your lender for an annual percentage rate (APR). If this rate is higher than the initial rate, it is safe to assume that your rate and payments will be a lot higher when your initial period is over, even if interest rates are stable. ARMs have an adjustment period where the interest rate and monthly payment changes. These adjustment periods typically occur every month, quarter, year, 3 years and 5 years. For example, a loan with an adjustment period of 1 year is called a 1-year ARM, and the interest rate and payment can change once every year; a loan with a 5-year adjustment period is called a 5-year ARM, and so on and so forth. The interest rate for an ARM depends on two main components: the index and margin. The index measures the interest rate and the margin is an extra amount your lender adds. Your monthly payments will be influenced by any caps, limits or how high or low your rate will go. For example, if the index goes up, so will your interest rate, and most likely, so will your monthly payments. And vice versa, if the index goes down, so will your interest rate and monthly payments. ARM rates vary from lender to lender. However, most lenders use the same variety of indexes to project an interest rate. For example, the most common indexes include the rates on 1-year constant-maturity Treasury (CMT) securities, the Cost of Funds Index (COFI), and the London Interbank Offered Rate (LIBOR). On the other hand, some lenders use their own cost of funds as an index. Before picking a lender, ask what index they use and how it fluctuates. This will give you a better idea of what you can expect with that particular lender and loan. The margin is an added percentage to the interest rate on an ARM. Just like interest rates, margins can differ from lender to lender, but it usually remains consistent over the term of the loan. The index plus the margin is known as the fully indexed rate. For example, if a lender uses an index that is 3% and adds a 3% margin, the fully indexed rate would be 6%. Some lenders base the amount of margin they add off your credit score. Meaning, if you have a higher credit score, the lower the margin they will add, therefore, the less interest you will pay for. 1. Periodic adjustment cap – This limits the amount the interest rate can fluctuate from one adjustment period to the next, so interest rates are not dramatically increasing each adjustment period. 2. Lifetime cap – This limits how the interest rate will increase of the term of the loan. Lenders are required by law to issue a lifetime cap for ARMs. What is the difference between a fixed-rate and an adjustable rate mortgage (ARM)? The difference between a fixed-rate and adjustable-rate mortgage (ARM) is that the interest rate for fixed-rate mortgages will stay the exact same over the life of the loan. With an ARM, the interest may increase or decrease. People are attracted to ARMs initially because many start with a lower interest rate than fixed-rate mortgages. This interest rate may stay the same throughout the introductory period, which usually ranges between several months and a few years. Once this period is over, your interest rate will change, and so will monthly payments. An ARM’s interest rate is based off an index which refers to several indictors, such as the 1-year constant-maturity Treasury (CMT) securities, the Cost of Funds Index (COFI), and the London Interbank Offered Rate (LIBOR). If the index goes up, so will your interest rate, and monthly payments; if the index goes down, so will your interest rate, and monthly payments. With a fixed-rate mortgage, monthly payments and interest rate will remain consistent throughout the entire loan. 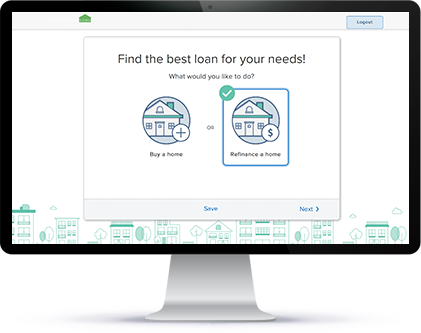 This option makes it easier for borrowers to budget and manage their finances. What are adjustable rate mortgage rates? Adjustable rate mortgage (ARM) rates vary from lender to lender. Interest rates are an important factor to consider when applying for a mortgage because they heavily influence how much money a borrower will pay. Utilizing a calculator can project an estimate of what you can expect to pay for mortgage payments and interest on a monthly basis. What are some pros and cons of an adjustable rate mortgage? Issues a lower interest rate and monthly payments during the initial period of the term. Borrowers are attracted to this mortgage because it allows them to buy larger homes because monthly payments are lower. Borrowers can take advantage of lower interest rates without refinancing. They won’t have to provide funds for another set of closing costs and additional fees. As interest rates fall, ARM borrowers will watch their monthly payments fall as well. ARM borrowers save and invest more money compared to fixed-rate mortgage. Borrowers that have lower payments are able to save money and earn more in a higher-yielding investment. Ideal for borrowers that do not plan on living in their home for a very long time. Interest rates and monthly payments can dramatically increase over the life of the loan. Depending on how much rates rise, so can your monthly payments. The initial period of an ARM can be taken for granted because some annual caps do not apply during the initial change. For example, someone with a lifetime cap of 5 percent could possibly see their interest rate increase from 3 to 9 percent a year after closing if the index rises. Mortgage lenders have a lot of power when it comes to ARMS. They determine margins, annual caps, adjustment indexes and among other things. So, if borrowers are uneducated on how an ARM works, they can be taken advantage of by unethical mortgage companies.